The 2017 Fourth of July parade in Arlington Heights steps off at 10:00 a.m. on Tuesday July 4th. 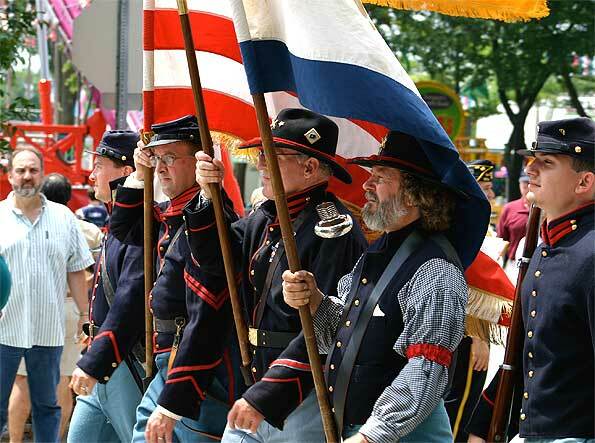 What is the parade route for the Arlington Heights Independence Day Parade? The parade steps off at 10:00 a.m. Dunton and Oakton Avenue, heads south on Dunton Avenue, turns east on Miner Street and ends at Recreation Park (500 East Miner Street). No rain in forecast; radar is clear in Northern Illinois. Cloud cover is forecast at 50%, dropping to 47% during parade time. Jesse White tumbler — a common, but extraordinary, unit in the Arlington Hts. 4th of July parade. 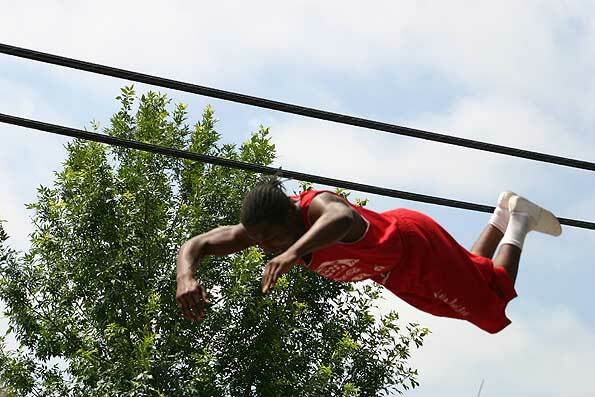 Illinois Secretary of State Jesse White keeps a close eye on tumblers. 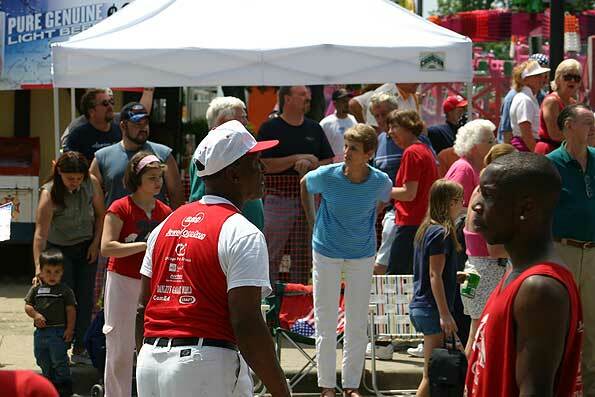 Where is the review stand for the Fourth of July parade in Arlington Heights? The review stand for the Arlington Heights is on Dunton Avenue, just South of Euclid Avenue in front of the Arlington Heights Memorial Library. 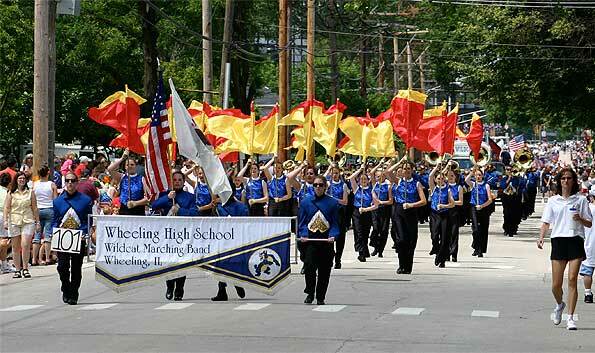 Wheeling High School Marching Band at the Independence Day Parade in Arlington Heights.